Backless stools are just that — they have no backs. They come swivel or stationary and are a nice accent to mix and match with stools with backs. 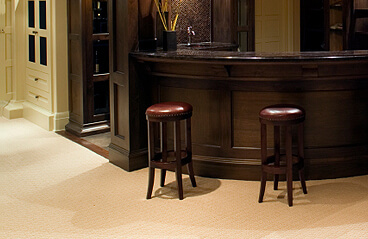 Backless bar stools are a great fit for small kitchens or for tucking under counter tops. Some people like to, for example, use three stools with backs in the front of the counter and one backless stool on the side of the counter, or simply all backless stools if you like to see the entire beauty of the bar or counter and you want the stools hidden. Backless stools are also a plus when confronted with a space issue where they can simply be tucked away and under the counter. Bars are usually done with bar stools with backs in the front of the bar and a backless stool behind the bar for the host. Backless stools, however, can be uncomfortable for people with back problems. When sitting for a length of time there is no back to rest upon so it can be a bit of a strain, but parents like them for small children. 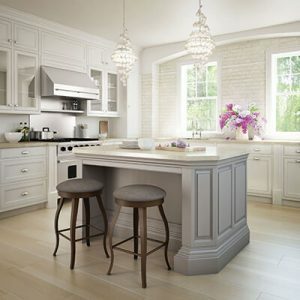 Backless stools are a nice compliment to a kitchen if the person doesn’t want to reach over the backs of stools when serving guests at the counter or bar.